What is it about the words "climate" and "change" that trigger such raw emotional responses in people? I don't have the answer to that but I'm sure there are sociologists and psychologists who specialize in this area. All I can relate is my own personal experiences exchanging ideas with people and the conflict that sometimes arises. For example, tonight I attended a Shabbat Dinner which was graciously and generously hosted by a prominent couple in the Los Angeles Jewish community. Rule number one at a religious gathering is no politics. Well, I broke that rule and for that I apologize to the hosts and guests. Somehow the discussion turned to green issues and climate change and seated to my right and to my left were two gentlemen who could be loosely defined as "climate change deniers," although I don't like to pigeonhole people like that. The dinner guest to my right called global warming a "scam" and the guest on my left questioned the motives of Al Gore, climate scientists and the Intergovernmental Panel on Climate Change. This guest, who I won't name, was from the American Freedom Alliance, which claims on its website that "it is a non-political, non-partisan movement which promotes, defends and upholds Western values and ideals." They recently held a seminar about the "Green Movement" in which they discussed "this movement's coercive and controlling agenda, the philosophy of sustainability that drives it and its quest for power." But the three of us certainly had knee-jerk reactions and were shouting past each other for a good five to ten minutes before dinner was served. After cooler heads prevailed we were able to have a pleasant, rational discussion about the issues and actually came to the conclusion that we agree about more things related to so-called "green issues" than we disagree. But isn't that the problem with our public discourse these days? 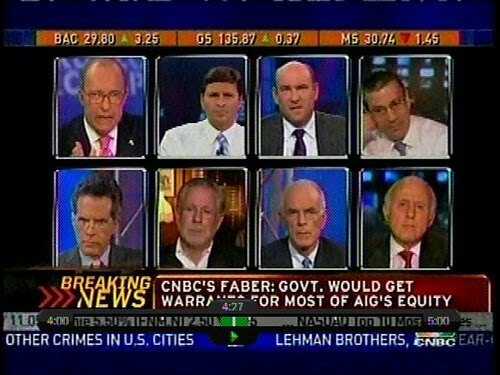 Cable television ratings demand that conflict is created so talking heads are pitted against each other in split screen form to shout over each other while we sit on our couches confused as ever. Or we block out the talking head arguments and tune out the other side completely by only surfing websites we agree with or only subscribing to organizations that reinforce our world view or only listen to the talk radio station that validates our views. This is unhealthy on a personal and societal level. If we are ever going to strengthen our national security, protect the environment, rebuild our economy and maintain our democratic values, then we must start an individual and national dialogue about polarizing issues like health care and climate change. Just as at my dinner tonight, if we aren't able to get past the first five minutes of shouting past each other and into an actual constructive dialogue about the issues by listening to each other and trying to come up with common sense solutions, then I fear for the future of this great country. "Schneerson demanded in 1981 that the USA be energy independent and develop solar energy, as the dependence and hence subjugation to foreign nations could cause the country to compromise its principles." Birchas Hachama and Solar Energy from Jewish Educational Media on Vimeo.